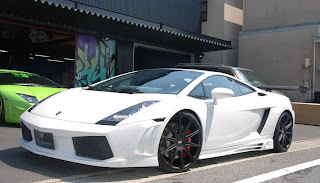 Hipnotic Wheels & Blaque Diamond Wheels Blog | about Custom Wheels: White Lamborghini Gallardo with Liberty Walk body kit. 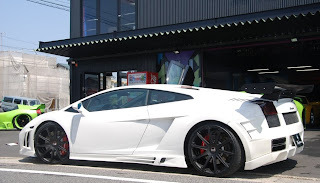 White Lamborghini Gallardo with Liberty Walk body kit. Here is a White Lamborghini Gallardo from our friends at Liberty Walk, this Gallardo is wrapped with Liberty Walk body kit , carbon fiber rear spoiler & custom painted all Matte Black 20" staggered Blaque Diamond DUST wheels gives this Gallardo a new Character.